Since BNS-Philippines Inc. began operations in the Municipality of Bauang in La Union Province, the Local Government Unit (LGU) has become a strong and steady partner in implementing good sanitation practices in communities and businesses for proper waste disposal and collection and for clean waterways. Through this partnership, Bauang has implemented several decentralised wastewater treatment systems (DEWATS). These include facilities in Brgy. Central West (the municipality’s first community based sanitation project), Bauang Public Market, Bauang Slaughterhouse and Pagdalagan Poultry. In the Bagbag district, the municipality pioneered its first-ever decentralised wastewater treatment system (DEWATS) made of fibreglass. These projects have enabled community members to see first-hand the impact of good septage management and have helped to raise awareness of the need for maintaining and disseminating DEWATS facilities. 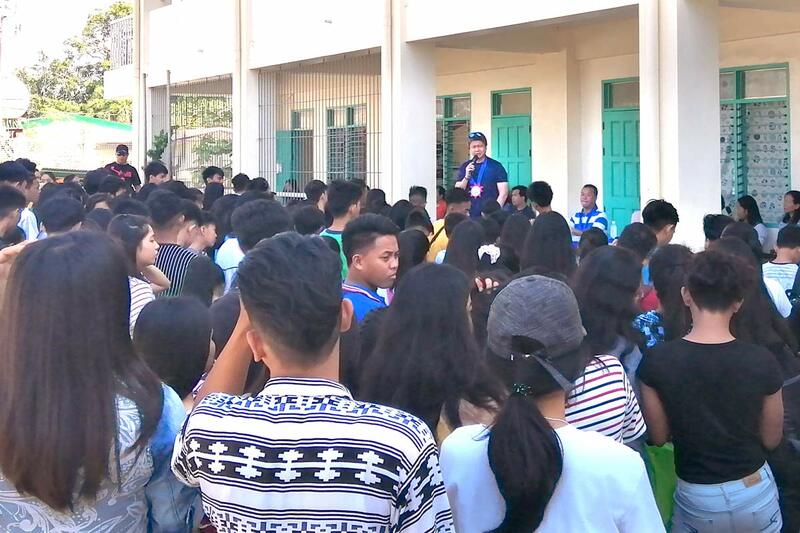 On 1 March 2019 at Paringao National High School (PNHS), Bauang officially inaugurated its most recent DEWATS implementation. 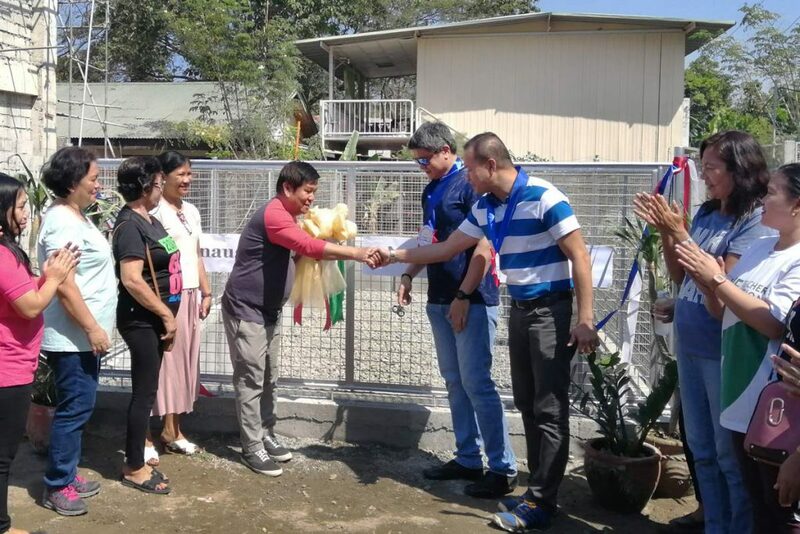 As the first operational DEWATS for school based sanitation (SBS) in Bauang, the new installation brings pride and honour to the municipality. The PNHS DEWATS facility has the capacity to treat 10 m3 of wastewater per day from the school’s toilets, bathrooms and sinks. The project cost of PhP 1,200,000.00 (Philippine pesos) was funded by the Bauang LGU. Attending the inauguration were Bauang Mayor Hon. Eulogio Clarence Martin P. De Guzman III, PNHS teachers and students, and our representative from La Union Province, Engr. Warly A. Mahusay. Lead by Master of Ceremony Ms. Maritess Cabrera, the DEWATS-SBS inaugural ceremony began with an opening prayer followed by audio-visual presentations of the national anthem, the Region 1 hymn, the La Union hymn, and the Bauang hymn. PNHS Principal III Ely G. Dumrique and Head Teacher III Annielyn R. Ocado delivered the opening & welcoming remarks, followed by messages to the students and teachers from Engr. Mahusay & Mayor De Guzman. 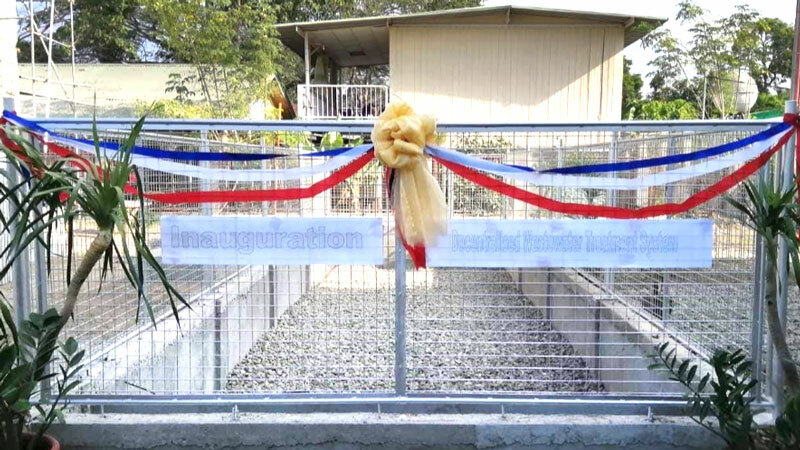 The ceremony culminated with the ribbon-cutting by Mayor De Guzman and Engr. Mahusay accompanied by the school teachers and principal. 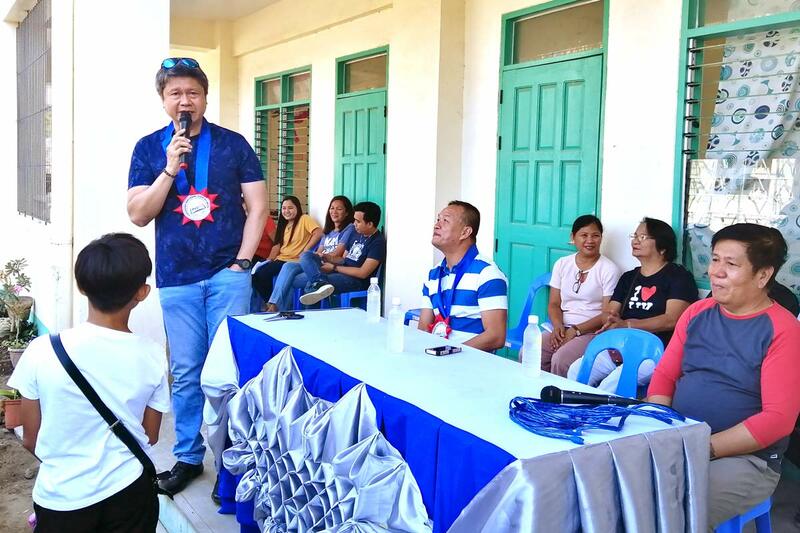 As a next step in improving sanitation in Bauang, BNS-BORDA together with the Bauang LGU is working on the implementation of a new DEWATS facility in the Acacia Arcade business district.